Amazon’s success atop the retail industry has been getting plenty of attention, but in media, the e-commerce giant could hardly be considered dominant. Sure, it has notched up hits with original shows like “Transparent” and “Man in the High Castle,” but it’s still far behind others in reported overall viewership. Amazon Studios, too, has had notable releases but is not a leading motion picture studio. In advertising revenue, Google and Facebook each dwarf Amazon by billions of dollars per year. Yet, Amazon has advantages that few others in media can match. And while publishers complain about “the duopoly,” they miss the giant sneaking in the back door. Compare Amazon with Netflix, for example. Based purely on success from its programming, Netflix is far ahead. Its subscribers account for a huge share of internet traffic in North America. It continues to increase viewership and membership, piling on hit shows and movies, generating great press and acquiring others’ popular movies and shows. Its original productions such as “House of Cards,” “Stranger Things,” “Orange is the New Black,” “Chelsea Lately,” and the documentary “Thirteen” have received far more accolades and awards than Amazon has. The conundrum for Netflix, though, is that its core business is media. It pays a hefty amount to produce and license movies and shows, and rely on that content to attract and hold members, generate revenue and fund operations. It owes lenders more than $20 billion and has borrowed to produce and acquire shows and movies, and is not generating enough cash to cover that debt. "eMarketer predicts Amazon will be the third-largest digital advertising provider by 2019, after Google and Facebook." By contrast, for Amazon the media business is a sideline. 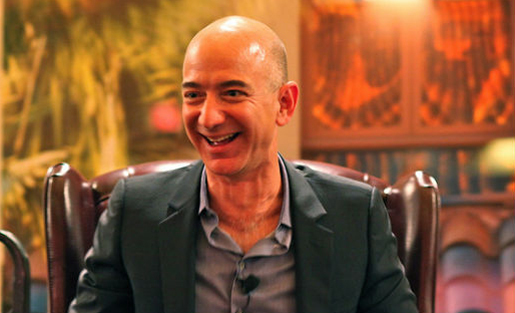 As an e-commerce and web services powerhouse, Amazon can subsidize its media operations. Amazon Prime members, who gain access to Amazon’s selection of movies and shows, also spend thousands of dollars per year through Amazon, averaging more than two times as much commerce as non-Prime members. Amazon makes still more cash by selling its own devices (Kindle readers and tablets, the voice-activated Echo line, among them) and multiple private-label fashion, food, health and electronics products that compete with vendors who sell through Amazon. Amazon offers Prime membership at roughly the same price Netflix charges for equivalent access while also including free two-day shipping, a huge music library, special eCommerce deals, eBook lending and other enticements. As a bookseller, of course, Amazon is king. Meanwhile, let’s not forget Amazon’s real 800-pound gorilla: Amazon Web Services (AWS). The division last year lifted Amazon’s profit to a record, accounting for more than 71 percent of the company’s total operating income while bringing in only eight percent of revenue. Web services are eminently scalable and thus can increase profit margins by adding servers and bandwidth; there’s no need for all those costly writers, actors, directors and producers required to make every movie and show. With AWS, Amazon can pretty much predict profit margins before turning on whatever lights the humans working in their server farms might need. Not even the most creative Hollywood accountant can tell you how much a TV show or movie will make. “Amazon has come to depend on AWS to fuel the rest of its sprawling business and feed its global ambitions,” Geekwire’s Taylor Soper wrote earlier this year. Which means Amazon probably can afford to hire the likes of “Transparent” star Jeffrey Tambor because of all the cash it has on hand thanks to AWS. You could say the same for how it can afford the rights to so much music, so many TV shows and the millions it’s spending for rights to stream elite sports. All that cash also helps Amazon Prime gain headway with its own blockbusters and also through judicious licensing of shows such as “Veep,” “The Sopranos” and “Orphan Black” from producers and distributors such as Showtime, HBO and BBC. Netflix and subscription streaming video competitors such as Sling TV, YouTube Red and Hulu are media businesses. Amazon is a platform. Beyond streamed media, it also sells shows and movies on demand, much as Apple does. Its offers subscriptions to services like Showtime, HBO and Sling, which consumers can then watch through Amazon not only on computers and smartphones but also on TVs made “smart” via the inexpensive Amazon Firestick. Amazon offers still more video — everything from exercise and recipe videos to clips from older PBS shows — through its Video Direct program, which lures publishers by offering them a cut of revenue earned from subscriptions, sales or advertising. Amazon is also fast-rising as an advertising technology and services vendor. It generated $1.4 billion in ad revenue last year, according to Barclays, and eMarketer predicts Amazon will be the third-largest digital advertising provider by 2019, after Google and Facebook. It also has a robust advertising exchange, is offering a “header bidding” programmatic advertising optimization solution to publishers, and provides search advertising through its A9 division. It can place ads on publishers’ pages and also have tons of advertising inventory on Amazon.com. Amazon is likely looking into advertising for various Alexa audio apps on the category-leading Echo line, as well. The Amazon Echo is the market leader in voice-activated assistants. Then there’s the data. Even when Amazon isn’t technically “advertising,” its algorithms are predicting and proffering items it knows we might want. Facebook and Google dwarf Amazon in ad dollars, but Amazon can continually make its ads more perfectly targeted by knowing not just what interests consumers have shown but also what they actually buy, watch, read and listen to. That’s a wealth of data whose worth builds over time as more of it is collected, compiled and cross-referenced. The Washington Post, owned by Amazon CEO Jeff Bezos (and not Amazon), is yet one more high-impact playground in which to create content, gather data, show ads, get information and create influence — commercial and otherwise. Put it all together and you can picture a budding powerhouse against which few media companies could hope to compete. Unless, of course, those companies are Google and Facebook, which claim they’re not media companies even as they take the vast majority of all new digital advertising dollars. There, perhaps is what may be a saving grace. While the behemoths battle for market and mindshare, they also run up against each other and thereby help keep each other in check. The traditional media companies — those mortals bringing in only single-digit billions, or less, each year — play the giants and their would-be competitors for ad dollars (Apple, Snap, Twitter, et. al.) against each other to eke out better terms for the media they distribute on each of their platforms. And, yet, nearly all those platforms rely on advertising to sustain themselves while Amazon can use the cash it generates in other ways to increase its capacity and competitiveness in media and advertising. Amazon recently even launched a social network, Spark, with a special e-commerce twist. Amazon is expected to account for more than half of online retail sales by 2021. Sen. Corey Booker is among those who have voiced antitrust concerns about Amazon’s impending $13.4 billion purchase of Whole Foods. In the foreseeable future, media and advertising companies could be raising similar objections to Amazon’s market influence in their spheres. If there’s one thing Bezos has shown us since he launched Amazon more than two decades ago as a seller of printed books, it’s that his company looks for areas it can dominate and it plays the long game to get there. An award-winning former managing editor at ABC News Digital and an MBA, Dorian Benkoil and is the business columnist for the site. He is COO at Teeming Media, a strategic media consultancy focused on media-tech, ad-tech and finance. He tweets at @dbenk. I’m just thinking about the predicts. They are all taking different routes back then they are similar in the final step. We should plus one more platform in the predictions that is Instagram. Facebook data is built on “self reporting”, aspirational and how users wish to be perceived by their peers. Amazon’s advantage is that it’s data is directly connected to the wallet and individual consumer buying habits. This clearly puts Amazon at an advantage when building specific populations for specific advertisers and products. Advertising and Media is a data game now. Facebook may have the advantage of scale for now but is that as relevant in a precision world? My bet is on Amazon’s Primary First Party Data. Great article Dorian. Amazon is well positioned indeed. Amazon’s dominance in the voice assistant category will also help them become a dominant media player. You mentioned Alexa briefly but she creates a unique media opportunity for Amazon. Alexa gives Amazon the opportunity to intercept people before they search on Google. to their index of people whom they have a ton of data on most importantly their buying habits. Facebook. It might need a software like Googla adword and Facebook ad manager, otherwise it may loss mid level consumers.